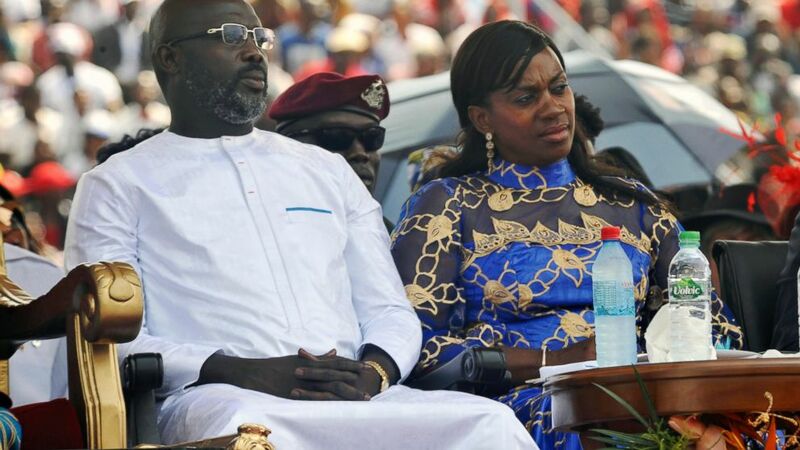 Star footballer-turned-politician George Weah marks a year as Liberia's president on Tuesday as many in the impoverished country debate whether he has begun to deliver on dramatic campaign promises. Many of those youth now fear the 52-year-old Weah has lost his way. Even Weah has acknowledged a difficult time, telling the annual United Nations gathering of world leaders in September that "the challenges of leadership are enormous." Critics have said his first mistake was ignoring a key law that compels officials to declare their assets before assuming office. Weah finally made a declaration under pressure six months into his term, but it has yet to be published. As a result, many other officials have not declared their assets. Weah should lead by example and ensure accountability after his pledges of transparency, people say. The new president also signed two overseas loan agreements totaling $1 billion for road construction projects, despite opposition. Critics wanted more background checks to establish the deals' authenticity before they were signed, but lawmakers ratified them quickly. The agreements so far have failed to materialize. Meanwhile, many say roads to Weah's residence have been freshly paved. Local media have quoted the chairman of Weah's Congress for Democratic Change party, Mulbah Morlue, as saying the president decided to carry out such personal projects, such as the construction of his mansions, to show that Liberia is now safe for investment. Minister of Finance Samuel Tweah has said the president, who came to office worth nearly $90 million as a soccer player, has been using his own money on the projects and rejected allegations of financial improprieties. The president also spent $1 million on foreign travel in his first year in office, the FrontPage Africa newspaper has reported. Opposition leaders including lawmaker Yekeh Kolubah accuse Weah of acting at the expense of people in Liberia, which remains one of the world's poorest countries. "The nation under George Weah is victimized as a result of leadership bankruptcy," said Martin Kollie, a university student leader and social justice advocate. But Weah and his supporters defend his actions during his first year in office. Weah rejects criticism that he has failed to deliver, pointing out the re-development of roads in the capital, Monrovia, and the signing into law of a land rights act. He vows to continue targeting poverty. "If you speak negative of this country, you are doing harm to your own self," he has said.